Darren England, who was the Fourth Official at the KCOM Stadium on Tuesday night, is the Man in the Middle for the South Yorkshire derby on Saturday. Darren has held various roles in Barnsley FC’s Community programme and spent a handful of months as a Football Coach on UK International Soccer’s residential soccer camps in California. He was a FIFA and Premier League Assistant Referee from August 2012 to May 2015 and a month later joined the National List of the Football League as a referee. He worked up the leagues and is now a member of the Professional Referees Select Group Two, officiating in both the Premier League and Football League. This will be the first time Darren has reffed a Millers game. In the twenty-nine games Darren has been in charge of this season he has shown one hundred and eight yellow cards and four red cards. 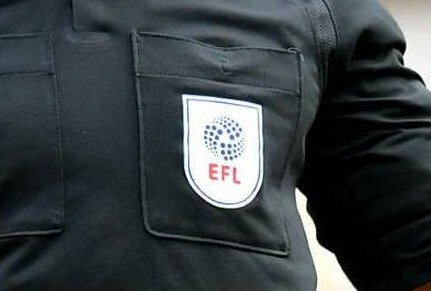 Running the line on Saturday we have Nick Greenhalgh and James Mainwairing with Tony Harrington from Cleveland as the Fourth Official.